A Superior Room is $179.00, and a Deluxe Suite is $204.00. Please book directly with the hotel to access this special rate using the promotional code NZARH. Airbnb operates in Auckland. Always check reviews before booking. Uber and Zoomy both operate in Auckland. There are also a number of traditional taxi services. Airport Transfers Taxis to the city centre cost approximately $65 – $75. Shuttles provide a regular & cheaper service – $38pp. More information can be found on the Auckland Airport website. Everyone visiting New Zealand must have a passport valid for at least three months beyond the intended stay in New Zealand. Overseas conference participants can travel to New Zealand on a visitor visa to attend the conference. If you’re from a visa waiver countries, you’ll be granted a visitor visa on arrival. For visa required countries, you must apply for the visa before travelling. If you require a visa you can apply using the standard visa form or online. When asked for the purpose of your visit indicate you’re attending a conference. When making visa applications online, please select the type of visitor visa as General Visitor Visa, and then under “what is the purpose of your visit to New Zealand” please select the “Conference / Convention” option. Immigration New Zealand has established partnerships with the below organisations, offering streamlined visitor visa processes for members who are able to demonstrate that they meet certain qualifying criteria. If you intend to stay in New Zealand for longer than three months, you must apply for a visa prior to entering New Zealand. If you are from a non visa waiver country, you need to complete Visitor Visa Application Form INZ 1017 and meet certain criteria. One of the criteria is that you will need to be able to show that you have funds of between NZ$1,000 and NZ$1,500 per month to support yourself while in NZ. In this section, mention the letters we supply you as evidence of your reason to come to New Zealand. Your plans in NZ, including your itinerary with the activities you plan and accommodation within New Zealand, and the travel dates and booking showing return travel to your country. If your return trip has not been paid you must show that you have sufficient funds to pay for it. 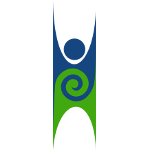 Indicate that the Humanist Society of NZ and the NZ Association of Rationalists and Humanists are arranging homestay accommodation if you require it. Or you can book to stay at a Back Packers or other accommodation or you can choose the Conference Venue Heritage Hotel accommodation. Please accept this letter as confirmation that Name Surname has been employed with ABC Company since date for the period from date until date . Name Surname is granted number weeks leave. If you have any questions or require further information, please don’t hesitate to contact us.